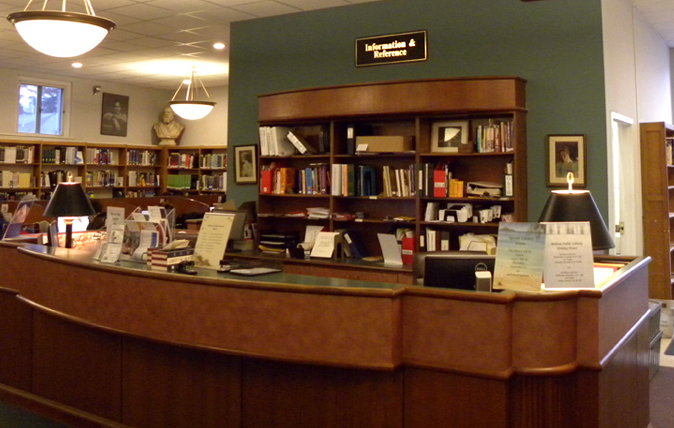 The Reference Department of the Melrose Public Library is organized to help you find specific, factual information on any topic you may need. Whether a business address or critical review, the book value of a used car or the author of an obscure opera, the reference collection and staff are available to assist you. Email us with any questions or call 781-665-2313, ext 214. The Melrose Public Library offers access to Ancestry.com in the library on our public computers. Please see a reference librarian for more information.